After the contractor withheld his wages for months, a mason succumbed to burn injuries, making a dying statement blaming his boss. Will the police act on it? What with losing his mother when he was just two years old, to being sent away to his elder brother’s home right after, Arshad didn’t have the average childhood. He was in most senses, his family members say, still a child: “innocent, sweet, spoke like a child and loved playing”. The 24-year-old lost his battle with burn injuries and passed away on November 26 after, according to his own statement to his loved ones, being burnt by the contractors of a construction site he worked at. This is an account of a man who cannot speak any more, but made sure to tell his family to “not spare the men who burnt him”. For almost four years, Arshad had worked with the men who would get construction contracts in Meerut. The most recent one, where he would work last, was a site for a government school in Badruddin Nagar in Nanu tehsil of Meerut. He stayed at the site and worked as both a caretaker and a stocktaker. The boss at the site who had rung Arshad’s brother Mushtaq after he passed away, first maintained that Arshad had only worked for him for a year. “When I asked him not to lie as I knew it was longer, he acknowledged that it had been 3-4 years but that my brother had left his job before Diwali”. This story, too, does not check out, according to a witness. A shopkeeper who does not wish to be named says that he would keep a record every time Arshad would buy provisions. The understanding was that Arshad would come and buy the food and the boss would come and pay off the debt. Mushtaq even made his way to Delhi to help file an FIR, but the police here sent them away, asking them to file it in Meerut. This shopkeeper says that on November 11, after this year’s Diwali, which fell on the 7th, Arshad had come to his shop to buy food items. Even a woman who works as a cook at the construction site — whom Mushtaq and his cousin Dastagir met — maintains that he was working there until the fateful night of November 18. She also told them that since the past week, the boss (Ashok Tyagi) and Arshad had been fighting over the final settlement. “The madam who lives there at the site said that Arshad used to keep saying that if they pay me my money I will leave”. But he was never paid and instead at 11 pm, Arshad ran to a neighbour’s house, his clothes on fire. 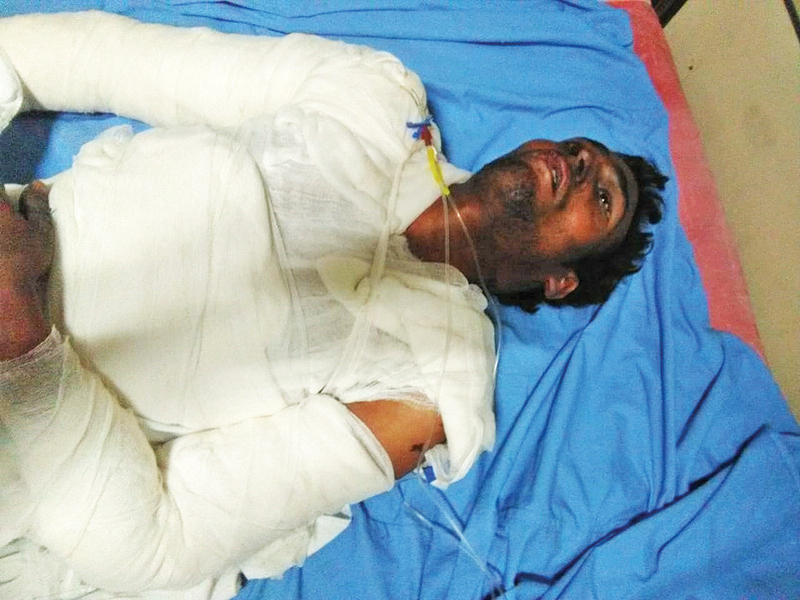 The neighbour called the police, who took him to the district government hospital. Mushtaq was informed about the incident a few days later by his father, who lives in Jharkhand. “Arshad had earlier pleaded with me, ‘Bhaiya, come here and then I will leave this place. He (Tyagi) doesn’t pay”. But Mushtaq failed to make the trip. His cousin sister, Apsana, who was admittedly the closest to Arshad, says that the last time they spoke over the phone, she asked him to quit the job. It was Dhanteras the day he called, and Apsana was in the market, “I told him I would call back. I returned home, got busy and never did”. The family say they knew about the financial dispute, as he always talked about the money owed to him. The last time he had come to Delhi to visit his cousins and their family was around Eid. “He stayed for two days and even then, his boss kept calling him, asking him to come back”, says Dastagir. “I had even asked him to tell me if there was a problem, but he never shared anything with me other than the fact that he wasn’t being paid his dues”, says Dastagir, adding that Arshad sounded sure of being remunerated soon. He had even told his nieces that we would soon take them shopping. At that point though, he didn’t even have clothes for himself. 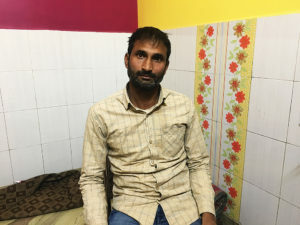 “He said he needed clothes as he didn’t have any, so we bought him new ones”, his cousin sister says, adding that if he was being paid the Rs 9,000 per month as promised and never sent money home, where did it all go? The next time they met him was at Safdarjung Hospital, where his brother and cousin brought him on the morning of the 21st. “He didn’t speak while we were in Meerut, but after a couple of days here he had begun to speak. He would tell me that Manish Tyagi and Ashok Tyagi are the ones who did this to him, don’t spare them”, says Mushtaq. A few days later, though, Arshad told his brother he would not live. He wasn’t able to speak properly after that. “We even removed his oxygen mask for a few seconds because he really wanted to say something. But all he could muster up was ‘Malik ne jala diya’ (the boss burnt me)”. Mushtaq and Dastagir reached Meerut on November 27, the day after Arshad’s death. The hospital refused to release his body until an FIR was lodged in Meerut. They reached the Sardhana police station and wrote an application. This has not been translated into an FIR. “He admitted that so much money was to be paid to my brother. I told him that another younger cousin brother of mine had been killed for only Rs 4,000 in Rourkeli a few years back”. He tried to give reasons as to why pursuing a case would be wrong, “he then asked me to come to Meerut and settle everything”, says Mushtaq. They didn’t find any belongings of Arshad. Everything had been burnt, “his Aadhaar card, his clothes, everything”, says Dastagir. His family cannot believe that something like this has happened. They currently await the postmortem report. Arshad had a tragic and painful end. Many like him have been the victim of abuse. Uttar Pradesh, according to figures from 2016, has the highest number of cases of human rights violations lodged by the National Human Rights Commission (NHRC). It is a colossal 44 per cent of the total number of cases registered with the NHRC. During 2015-16, 2,216 bonded labourers were released and rehabilitated in Uttar Pradesh. The NHRC Joint Secretary, Ranjit Singh, while speaking at the National Labour coalition to eradicate bonded labour and human trafficking said that in Delhi, with the huge number of construction sites, the potential for people to become the victims of human rights violations and bonded labour is present. Arshad, the youngest of four boys and four girls, was raised by his elder brother and wife in Ranchi. They would visit his maternal grandmother’s home every now and then. This is how the bond between Apsana — whose family home was next door – and Arshad became strong. While his brother tried to school him, by 17 he wanted none of it and ran away, to his father’s home in Jharkhand, says Apsana. 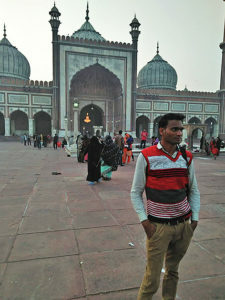 From there, he came to Delhi and started working as a mason in Ghaziabad by the time he was 18. Arshad, however, hardly visited his elder brother who also lived in the same area. “The age gap didn’t allow us to be as close, plus he grew up far from us”, Mushtaq says. A couple of years later, he would start working at the sites where he would eventually meet his end.